Finishing a basement is a lot different than finishing other areas of your home. Not only do you have to make sure it complies with local fire safety standards, you also have to worry about flooding, mold, and moisture. That means choosing the right wall assembly for your basement in Ann Arbor, MI is extremely important. 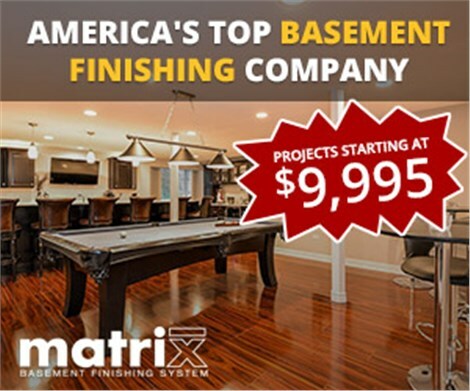 At Matrix Basement Systems, we have completed thousands of basement projects using our very own drywall product. Not only are our walls some of the most durable basement walls on the market, they’re cheaper too. We’re our own manufacturer which enables us to cut out the middle man and pass along amazing savings to you. In addition, our basement wall systems are non-toxic, so you don’t have to worry about the health of your family. Basement remodeling with our contractors is stylish too because our walls can be finished just like drywall! We are very proud of our innovative Ann Arbor basement remodeling techniques that feature the industry standard in basement wall products. We’re also proud of how we use our products as a base to create stunning, one-of-a-kind spaces. To learn more about all of your remodeling options, call our remodeler or fill out our form today!